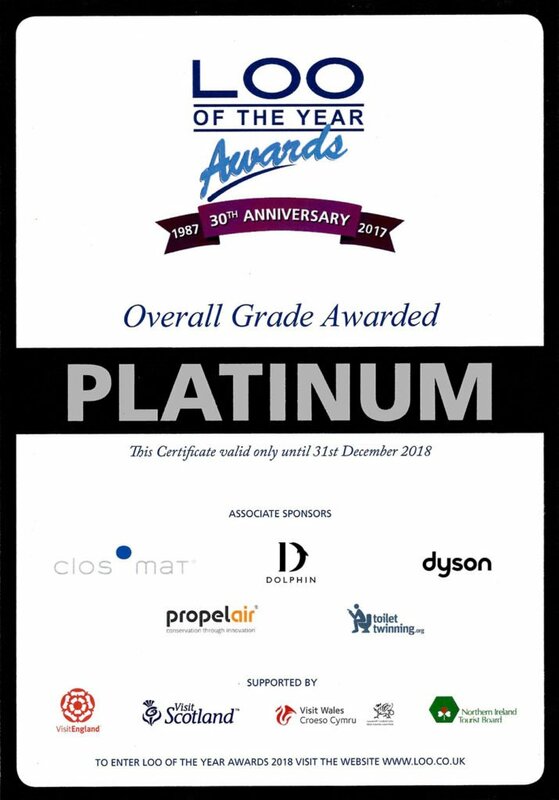 We are very pleased to have received the prestigious Platinum ‘Loo of the Year’ Award for our toilet facilities at the Whalebone. Platinum is the highest level that can be attained by a pub, having been assessed against 101 strict criteria by independent judges. Given our policy to offer quality service and surroundings for our customers, we are delighted to have received this award and recognition from a national body. Our cleaners pay a great deal of attention to detail and cleanliness and staff inspect the facilities every hour during trading times. This award is also testament of a job well done.